As I get older it gets a bit harder to apply a bit of sparkle and shine to my look without looking like an old fart trying to look young or a cougar scouting out younger men. Since that’s not really the look I’m going for when I find a product that gives me a bit of sparkle without trying to hard I get excited. 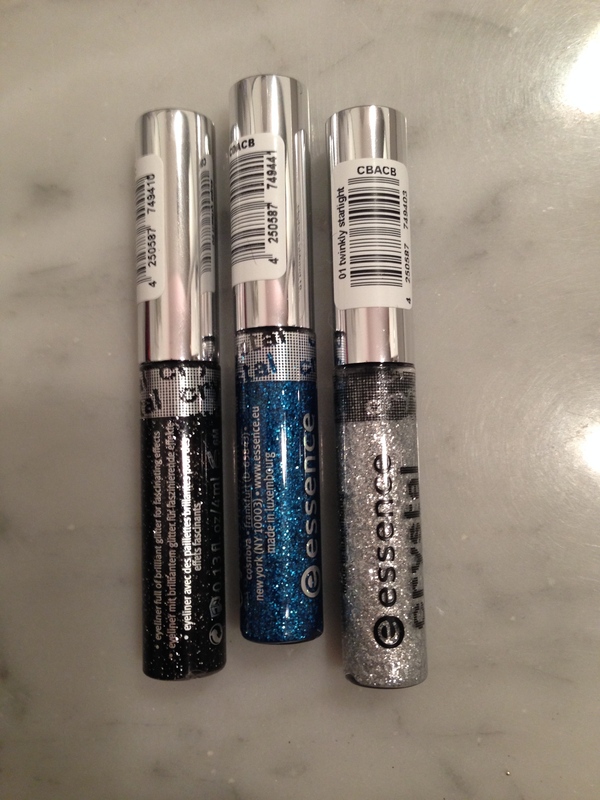 So I was thrilled when I walked by the Essence Cosmetics shelf and saw the Crystal Eyeliners! 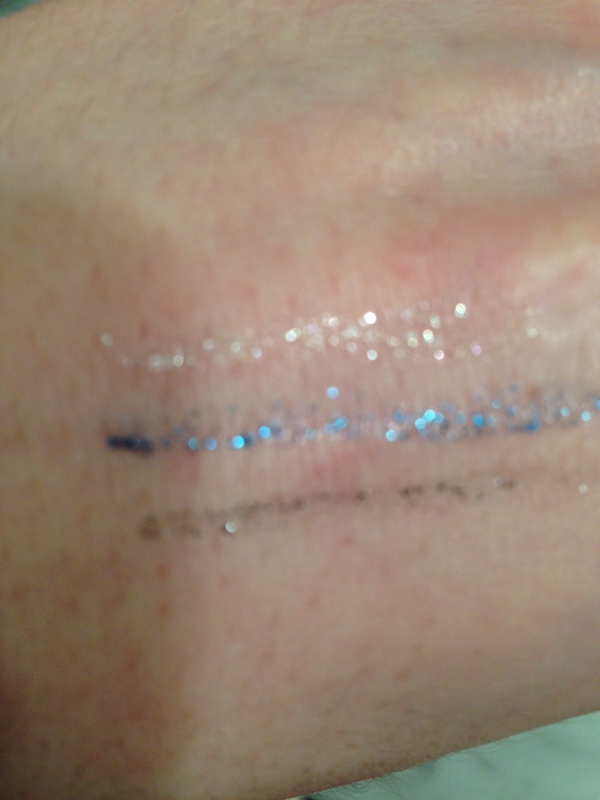 I picked up Twinky Starlight, Black Star and Flashy Aqua. If you’re going for amazing wow-highlights, the eyeliner can be used as a topping on your lashes, too! The brush applicator guarantees an accurate application. Available in a cool clubbing packaging. This sheer liner adds a subtle hint of sparkle and shine to an every day look. It goes on really well over top of my liquid liner and dries fast. I’m not sure if I was still in my early twenties I would want something so subtle but for this stage of my life this is perfect. For the price and the quality these are a fun way to help spice up your eyes (and yes I wore it to work today). I definitely suggest trying them out! This entry was posted in Beauty and tagged crystal, essence, Eyeliner, Liquid Liner, sparkle by maldham. Bookmark the permalink.